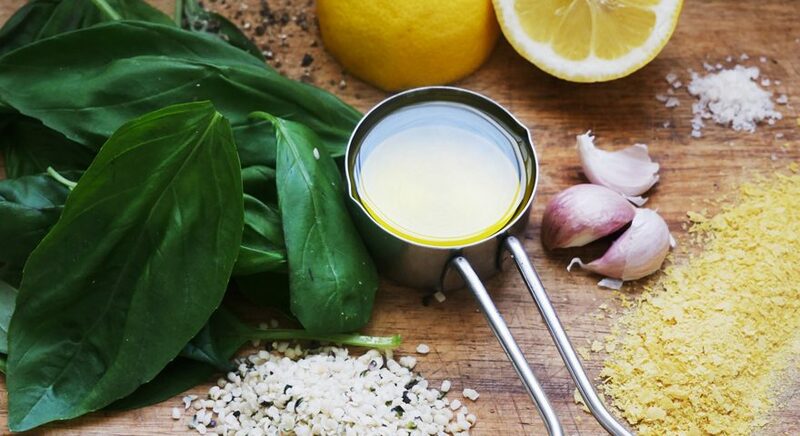 Place the basil, garlic and hemp seeds into the food processor or thermomix. Use speed7/5 secs in the thermomix OR pulse about 10 times in the food processor to break down the basil. Add all remaining ingredients. Process until smooth OR in the thermomix on speed 5/5secs. Add additional olive oil, if required, to get the desired consistency. Pesto can be stored in the fridge in an airtight container for up to 3 days. Can also be stored in the freezer for up to 1 month.